Fits years 1990, 1991, 1992, 1993, 1994, 1995, 1996, 19973.7 Ring and Pinion Gears by Nismo, H233B.. Fits years 1986, 1987, 1988, 1989 3.700 H233 Rear Ring and Pinion Gears .. Fits years 1986, 1987, 1988, 19893.700 H233 Rear Ring and Pinion Gears .. Fits years 1986, 1987, 1988, 1989 3.900 H233 Rear Ring and Pinion Gears .. Fits years 1986, 1987, 1988, 1989 4.111 H233 Rear Ring and Pinion Gears .. Fits years 1986, 1987, 1988, 1989 4.375 H233 Rear Ring and Pinion Gears .. Fits years 1986, 1987, 1988, 1989 4.375 H233 Rear Ring and Pinion GearsDISCONTINUED .. Fits years 1986, 1987, 1988, 19894.625 rear H233 ring and pinion gears .. Fits years 1986, 1987, 1988, 1989 4.625 H233 Rear Ring and Pinion Gears .. 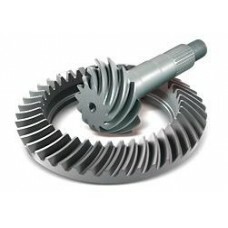 Fits years 1990, 1991, 1992, 1993, 1994, 1995, 1996, 19974.63 Ratio Rear Ring and Pinion set for the H233B Low Pinion Differential. .. Fits years 1986, 1987, 1988, 1989, 1990, 1991, 1992, 1993, 1994, 1995, 1996, 1997, 4.875 R180 Front Ring and Pinion Gears .. Fits years 1990, 1991, 1992, 1993, 1994, 1995,1996, 1997 4.875 R200A Front Ring and Pinion Gears .. 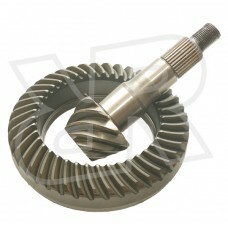 Fits years 1986, 1987, 1988, 1989, 1990, 1991, 1992, 1993, 1994, 1995, 1996, 1997,4.875 C200 Ring and Pinion Gears .. Fits years 1986, 1987, 1988, 1989 4.875 H233 Rear Ring and Pinion Gears .. Fits years 1986, 1987, 1988, 19894.875 H233B Rear Ring and Pinion Gears .. Fits years 1990, 1991, 1992, 1993, 1994, 1995, 1996, 19974.875 H233B Rear Ring and Pinion Gears .. 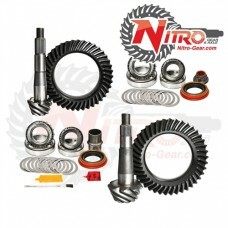 Fits years 1990, 1991, 1992, 1993, 1994, 1995, 1996, 1997 Nissan H233B 5.13 Gears by Revolution Gear and Axle. .. Fits years 1990, 1991, 1992, 1993, 1994, 1995, 1996, 19975.13 R200 Front Differential Gears5.13 H223B Rear Differential GearsFor Models with the V6 only.Nitro Rings & Pinions: 8620 Steel Gear Forging.. 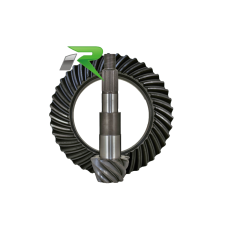 Fits years 1986, 1987, 1988, 1989, 1990, 1991, 1992, 1993, 1994, 1995, 1996, 19975.13 Ratio Ring and Pinion set for the Nissan Hardbody R200A Front Low Pinion Differential. .. Fits years 1990, 1991, 1992, 1993, 1994, 1995, 1996, 19975.13 Ratio Ring and Pinion set for the Nissan Hardbody H233B Low Pinion Differential. .. Fits years 1990, 1991, 1992, 1993, 1994, 1995,1996, 19975.143 R200A Ring and Pinion Gears ..